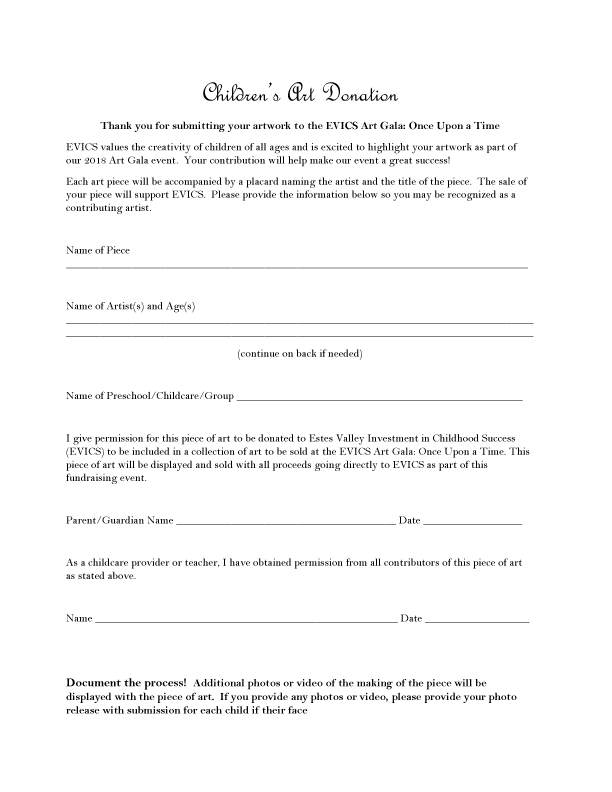 Estes Valley Investment in Childhood Success has their Annual Art Gala fundraiser each November as a celebration and as a fun fundraising event. Local Artists' Silent Auction, Giving Tree donations, Children's Art sales, and live musical entertainment make this EVICS’ largest fundraising event of the year. 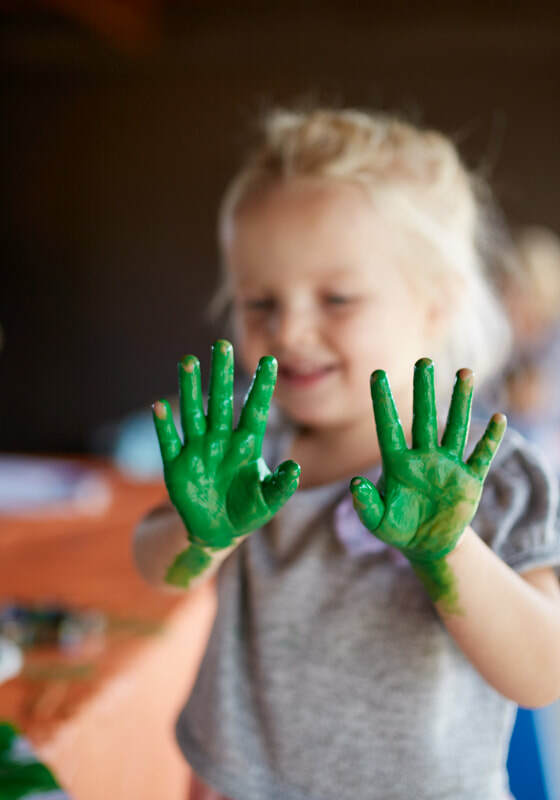 Proceeds from the EVICS Art Gala support services and programs for families and young children, scholarships for childcare and preschool, and support for Estes Valley childcare providers. The free, adult-only event is semi-mountain formal and features local beer and wine, as well as catered heavy hors d'oeuvres. We are honored to host this event at Trout Haven Lodge for the third time. EVICS is seeking volunteers for planning and for the night of the event. Do you have ideas for a children’s art piece? 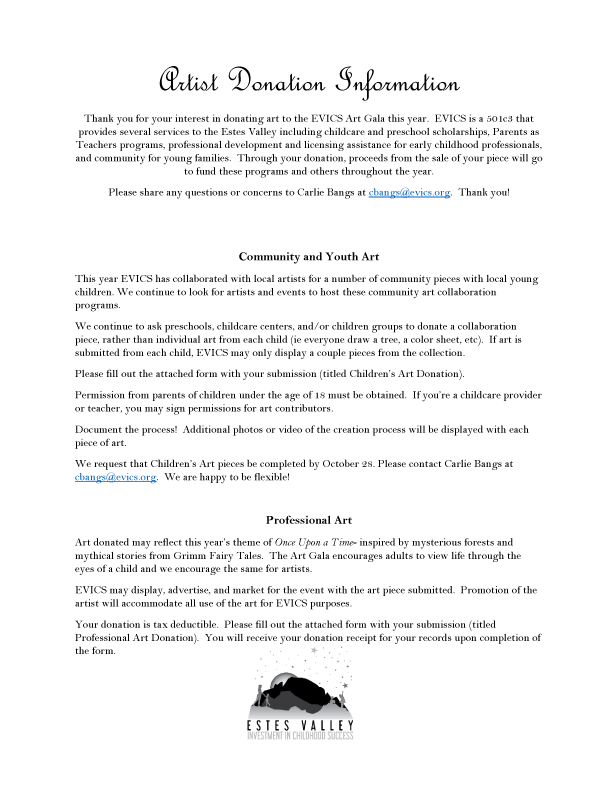 EVICS would love to collaborate with local artists to create one of a kind art pieces with children! Also accepting adult art pieces for the popular Silent Auction. Artists willing to donate art are encouraged to contact Carlie Bangs at cbangs@evics.org or call 586-3055. This event is being supported by the Estes Arts District.